Dive computer manufacturers are painfully aware of the abuse their dive computers will have to endure at the hands of the scuba divers. Consequently they design them to be as rugged as any piece of electronics can be. However, its best to remember that they are precision electronics and as much care as possible should be given to them to help ensure long life and reliable service. Thoroughly rinse with fresh water — It goes without saying that your dive computer should be rinsed in fresh water after every use. Because of small sensor ports and tight spaces soaking in fresh water is better than flushing. Dry with a soft towel to clean away salt and organic material. Pay special attention to metal contacts — Many dive computers have external contacts, which are susceptible to salt build up and corrosion. It's a good idea to scrub the contacts with a soft toothbrush and a mild detergent from time to time to remove buildup from salt, perspiration, sunscreen and other deposits. Protect from heat, direct sunlight and harsh chemicals — All of these things can weaken waterproof seals. An enemy of all electronics is heat and sun. Don't leave your dive computer in the sun on the boat, or cooking in your car. Store in a cool, dry and ventilated area — When you pack your dive computer protect it from impacts and shock. It's best to have a padded case for it. Carry-on when flying — If you're flying, try to keep your dive computer in your carry-on to protect it from extremes in temperature and pressure. Inspect wristbands and buckles — Check for wear, tears and corrosion. Replace as needed. Monitor your battery life — The first generation of electronic diving computers were amazingly efficient with power usage and could go years without a battery change. 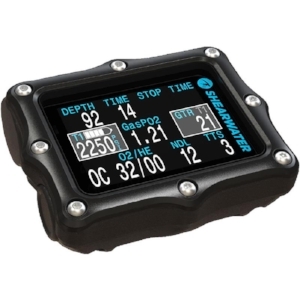 The newer generation of dive computers performs a lot more calculations and uses a lot more power. Service every one two years — Most manufacturers recommend taking your dive computer to the dive shop for calibration, service and battery replacement every one to two years. This is a great way to avoid problems before they end your dive trip. 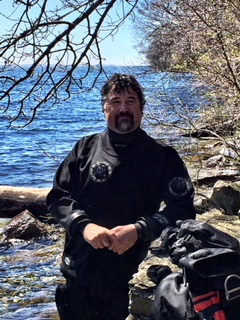 Dive computers have become an essential piece of equipment for safe diving. Make sure you can rely on yours to give you safe and accurate information.